PEKALONGAN, Indonesia: November 22, 2018. 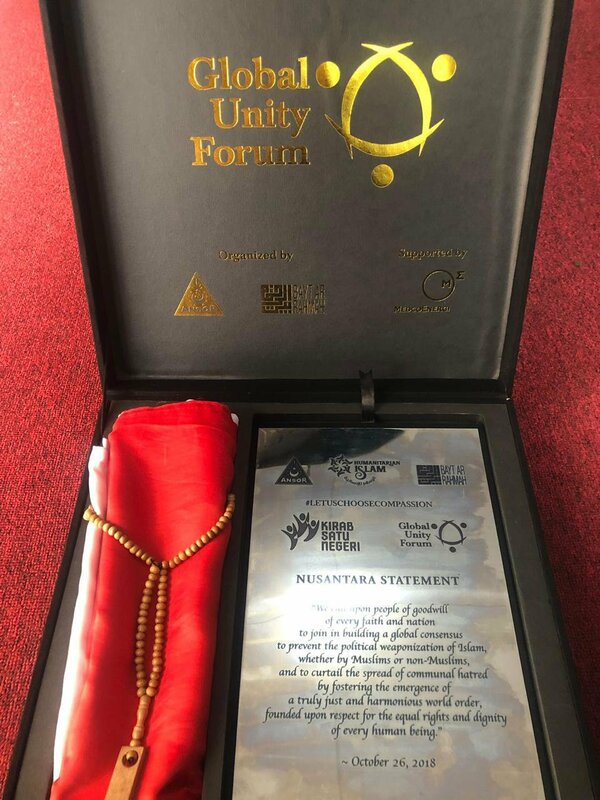 One month after Gerakan Pemuda Ansor and its international affiliate, Bayt ar-Rahmah, hosted the Second Global Unity Forum in Yogyakarta, Ansor Chairman H. Yaqut Qoumas announced the adoption of the Nusantara Statement at a mass rally of over 100,000 Ansor members, and presented a commemorative steel plaque engraved with the Statement to Indonesian President Joko Widodo (Jokowi). 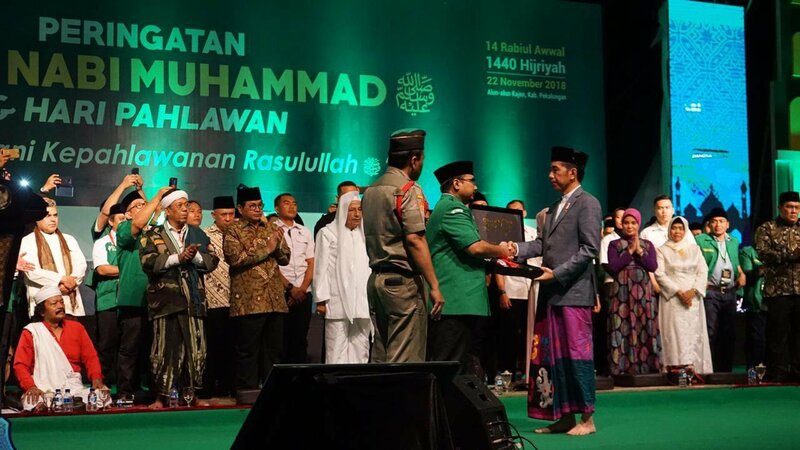 The Statement conveys the essence of the historic Nusantara Manifesto, through which Gerakan Pemuda Ansor and Bayt ar-Rahmah have officially launched a process of systematically recontextualizing (i.e., reforming) obsolete and problematic tenets within Islamic orthodoxy. The President thanked Ansor for “safeguarding Pancasila; preserving the spirit of Bhinneka Tunggal Ika (“Unity Amid Diversity”); guarding the Republic of Indonesia and its 1945 Constitution; and protecting Indonesia from separatism and terrorist acts.” He also advised Ansor cadres “to remain patient in facing every challenge”: a veiled reference to recent provocations by Islamist radicals and their political allies. 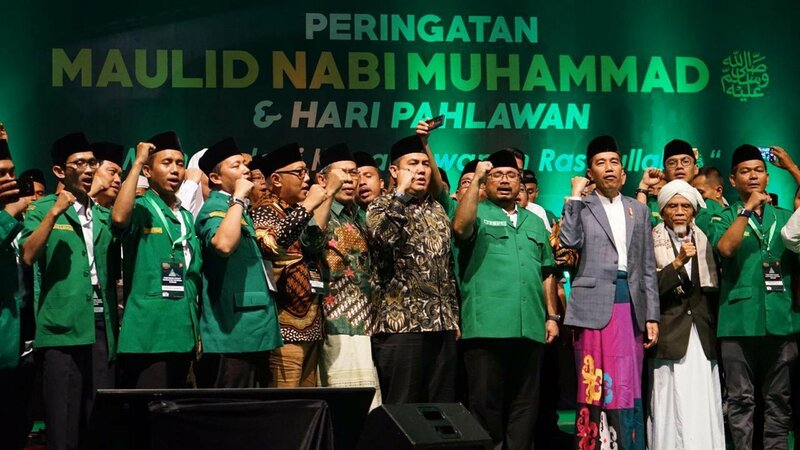 The mass rally in Pekalongan—which was originally scheduled to occur on October 26 in Yogyakarta, as the culminating event in Ansor’s Kirab Satu Negeri (One Nation Parade)—was postponed to avoid physical violence with extremists, who are widely believed to be supported by rogue elements within Indonesia’s military. 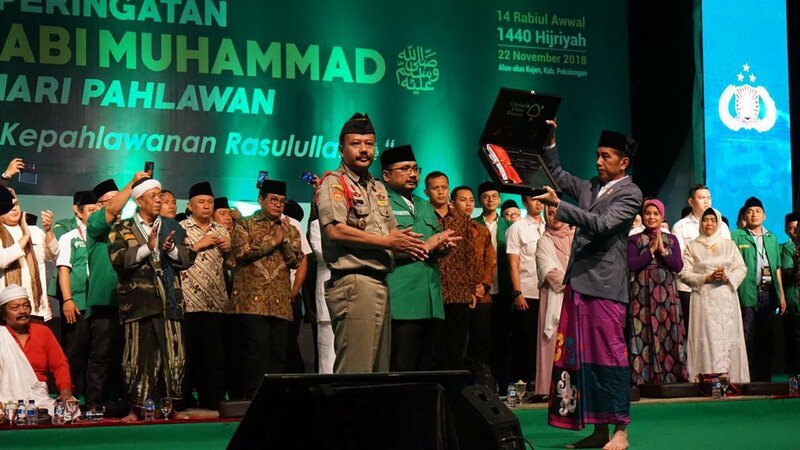 President Jokowi appointed a new Army Chief of Staff on November 22, who stated that he will work to ensure the Army’s neutrality in the 2019 national election campaign.